Is this what the iPhone 7 looks like? It's impossible to verify the authenticity of the design, but it certainly matches up with all the rumors we've been hearing for the last couple of months. 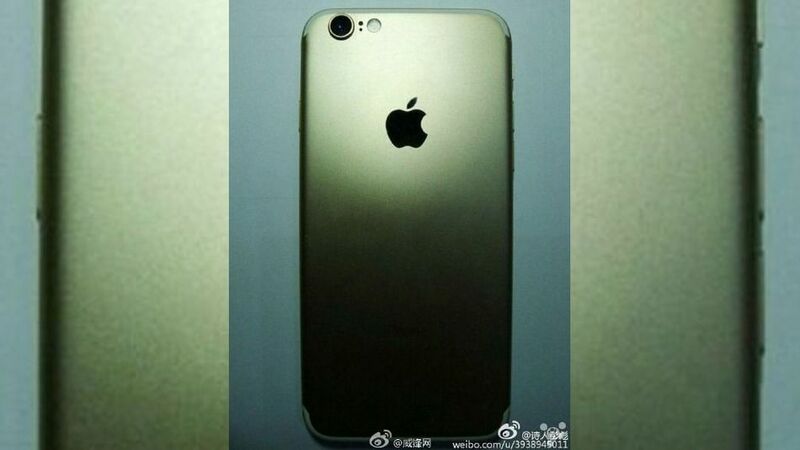 The Apple blog LetemSvetemApplem found the above image, of what appears to be the iPhone 7, posted to Weibo. The purported iPhone 7 shows a metal unibody design, which is likely to have very similar dimensions to the existing iPhone 6 and iPhone 6S. Rumors suggest the iPhone 7 won't come with a radically new design; Apple is reportedly saving that for next year. The only key design differences are the redesigned antenna lines, which appear to no longer run horizontally along the back, but only towards the top and bottom, and an additional hole in between the camera module and dual-LED flash. Speaking of the camera module, if this is indeed the iPhone 7, it looks like Apple will be sticking to a protruding camera. Apple chief design officer Jony Ive has called the camera nub present on the iPhone 6 and 6S "a really very pragmatic optimization." Though the protruding camera may be unsightly, Apple seems to have embraced it; the 9.7-inch iPad Pro's iSight camera has the same concession. Rumors suggest the Apple will stick to two screen sizes for the iPhone 7: 4.7- and 5.5-inch. Faster specs, a better camera and maybe a speedier Touch ID fingerprint sensor, along with iOS 10 are practically a given. And maybe a waterproof design? Where Apple could really shake things up is with the larger 5.5-inch model. It's rumored the bigger iPhone 7 could come with two rear-facing cameras, like theHuawei P9 and LG G5. The most dramatic rumor is, of course, that Apple will drop the headphone jack in favor of Lightning-based headphones. The rumors and leaks are coming in hot, as they usually do in the spring, but don't get too excited just yet. Apple's not expected to unveil the iPhone 7 until this fall. Keep your BS goggles on because not every rumor you read will come true.